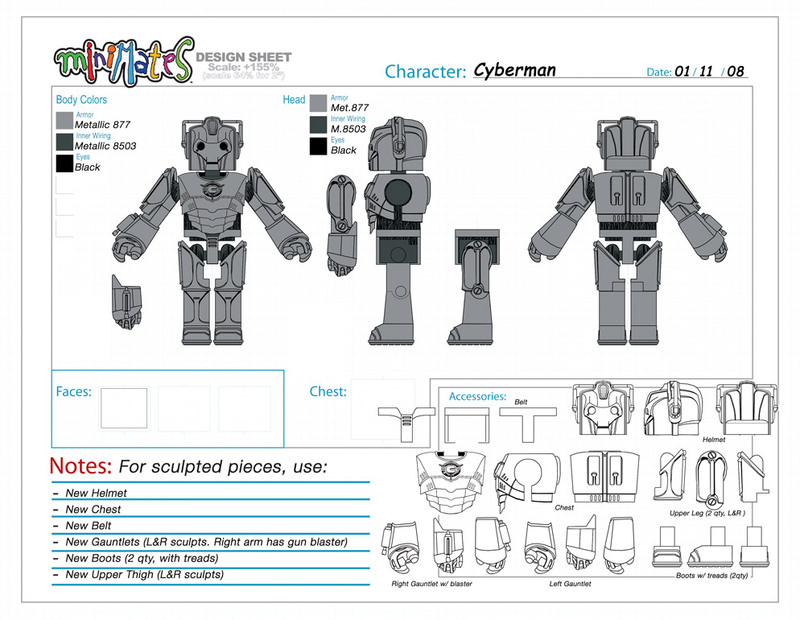 Over the course of 2005-2008, I assisted Art Asylum, designing production control art for various projects, most notably their Minimates line. This involved turnaround views for every part of the figure that was to be included in the final product, along with any surface artwork that needed to be applied. Anyone who knows me knows that I am a Doctor Who *fanatic*. I’ve been a fan for as long as I can remember. 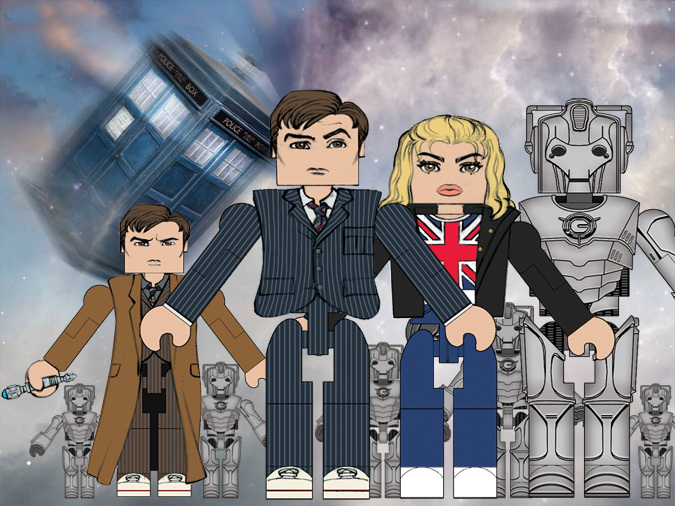 When I first heard there was a possibility of Doctor Who Minimates (something I had been asking about ever since I became associated with Art Asylum), I immediately asked (begged) to be involved. 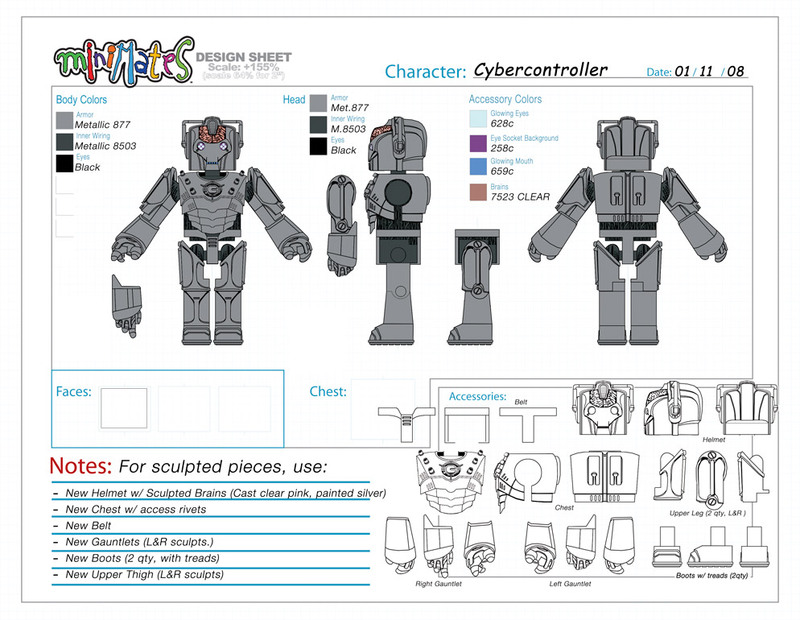 Due to time constraints, I was only able to complete my work on the Cybercontroller and Cyberman, and contribute color art on the remaining designs. Unfortunately, the line was never picked up, though my promo artwork did make a nice impression on fans at the various conventions that year.